The UN Relief and Works Agency for Palestine Refugees (UNRWA) is mobilizing efforts to raise funds needed to maintain its services offered to Palestine refugees. Adnan abu-Hasna, spokesman of the UNRWA, said on Saturday that the international organization is preparing to hold an international conference in Rome next Thursday, to discuss its crisis. Due to a severe lack of funds, the UNRWA has suspended a number of its basic assistance programs, adding more pain to the wounds of Palestinian refugees. The ongoing shortage of funds, according to Abu-Hasna, is the worst financial crisis that UNRWA has ever experienced since 1949, when it was first established. “We invited all the donors and members of advisory committee to this important and decisive conference which will discuss the UNRWA’s financial crisis,” Abu-Hasna said. The conference is one of the UNRWA’s activities aimed to raise funds to cover the accumulating financial requirements after the decision of the US administration to dramatically reduce its contributions to the humanitarian agency by $65m. 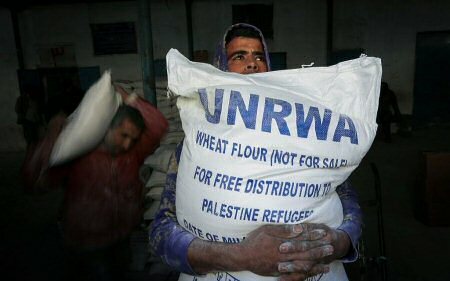 Although many states have confirmed their support to UNRWA, the consequences of the American move on the UNRWA’s budget are still immense, and may put an end to its existence because the US is the biggest and most significant donor to the agency. Mahmoud Usruf, from Gaza, contributed to this Days of Palestine report.